The Binary Biker | A blog about motorcycles, writing, cancer, politics, and technology. Ever been frustrated trying to get only the changed files from Subversion (SVN) so you can copy/deploy those files and not the entire branch to another environment? Drove me crazy, too. So I wrote a bash script to get a list of files from a specific svn changeset, and copy those files out of my local working copy to an identical folder structure elsewhere. The latest Misfits of Magic story is out. It’s a quick interlude in the Misfits of Magic series as I work on the next full story. I really enjoyed writing this; I hope you enjoy it as well. In this interlude, human psychologist to the supernatural, Gale reluctantly reveals the most evil thing he has ever done to his teenaged vampire sidekick. The teenaged vampire sitting across from Gale sat hunched in the chaise lounge chair, her entire body pressed against the back cushion like an amorous dog if amorous dogs liked to press against seat cushions. Her knees were high against her cheekbones, with only the top of her nose and eyes skulking from behind the gangly protuberances. A vampire Kilroy, her despondent eyes stared at nothing in general, yet somehow found it all lacking and unworthy of her attention. He suppressed a sigh; this was his first real client and he couldn’t afford pickiness. Ever since he had opened the Supernatural Psychology Agency, or S.P.A., he struggled to find clients. There wasn’t much demand for a human psychologist specializing in treatment of supernaturals. As far as he knew, he was the first. And only. Ever since the Reemergence, the humans had stayed on their side of the Border and the supernaturals had stayed on theirs. Mostly. Except for hungry vampires. Gale took a moment to look at his client. She appeared seventeen, not seventy-two. Vampires aged only one year for every fifty, so they kept their youth a little longer than the average human. If the human was cryogenically frozen or, you know, not human. Her hair was as dark as the insides of his eyelids, a deceptive darkness that didn’t have the decency to have an edge so it was hard to know where her hair ended. Her cheeks, what little peeked above her knees were flushed and red, a sure sign that she had fed just before coming to Gale’s clinic. Even so, he had his spray bottle of holy water in his lap. At least he thought it was the holy water. He kept his cat spritzer on the same shelf. Either way, if the vampire jumped up on the countertops, he had a weapon to shoo her off. If she wanted to eat him, he had only a fifty percent chance of warding her off. “You’re talking into your knees,” said Gale. “And I’d have to kill you,” said Mr. Abaroa. Go check it out! I know you’ll enjoy it. What do cancer scams and Frankenstein have in common? Besides both being horrible caricatures of something legitimate and real, that is? How can we compare a mythological monster to shuksters who claim they can cure your cancer? It begins with understanding how cancer scams work. Specifically, the false hope scams for cancer patients in an attempt to get your money. There are other cancer scams, such as the fake cancer patient appealing to your sympathies for your support, attention, or money. I am not talking about this scam. People who pretend to have cancer to get something from you are despicable, and they betray family, friendships,and communities, but ultimately they are not as vile and reprehensible as those who prey on cancer patients who are already fighting for their lives. This controversial lab photo is going viral, and exposes a fatal flaw in the way mainstream medicine treats cancer. Pulled from a new study at the University of South Florida, this series of pictures reveals a stunning reversal. And the ramifications are HUGE for anyone who suffers from cancer, or knows someone who does. The researchers used “bioluminescence” to mark and illuminate the tumors and where the cancer was spreading. That’s where the colors come from. The first mouse on your left, is your typical cancer patient, treated with chemo and radiation. It still has all of its tumors and never went into complete remission. In just three weeks, the tumors vanished. All without dangerous side effects, prescription drugs, or invasive surgeries. In fact, you can apply the 8th Element from the comfort of your home. All the details of this cancer-killing treatment in a special report. Click here for the shocking details on the 8th Element. It offers hope. For a price. This scam, and the multitudes like it, use pseudo-science, lies, emotional manipulation, and just enough “true sounding” words to get you to buy into the scam and part with your money. Hope, for a cancer patient, is a very powerful and precious emotion. Each day, every one of us who fights this disease has to have hope for the future and, specifically, for tomorrow. We are simultaneously hopeful and terrified of the future. The further out into the future we think, the more terrified we get – because we’re afraid we might not be there. As a result, anything that pushes that terror back, even for a day, and lets the hope push further into the future is a much sought-after thing. Because we need hope like a druggie needs his next fix, we cancer fighters tend to want to believe that there just might be a miracle sure out there. We’re biased towards belief because of our desperate fear of tomorrow, and the con artists who create these emails know this. Imagine you’re a cancer patient, fighting for your life against a disease that is determined to beat you. You’re scared. You’re worried. You’re determined. And this email flies into your inbox, or you see it on a web page. What do you, as a cancer patient, do? Ignore it? Laugh and click the “trash” icon? Probably not. You investigate, look into, and review everything that might have a chance of helping you in your fight against your cancer. You are, after all, in a desperate fight for your life and any lifeline, no matter how farfetched, will be grasped at. After all, this email looks interesting. It might be legitimate. It’s signed by a doctor, seemingly endorsed by USF, and shows promise in rats! Look at the pictures – the rat is cured after 3 weeks. Whatever the “8th Element” is, it sounds awesome! Sadly, this is a scam. The picture has been doctored and straight up lies have been told in the text. There is nothing legitimate about this email. This image clearly shows that there are four different mice, not one, and that these pictures are indicative of different diets and oxygen levels on the mice as part of the experiment – with the control left untouched – during treatment. Clicking the source above will take you to the abstract and description of the paper written on the experiment. 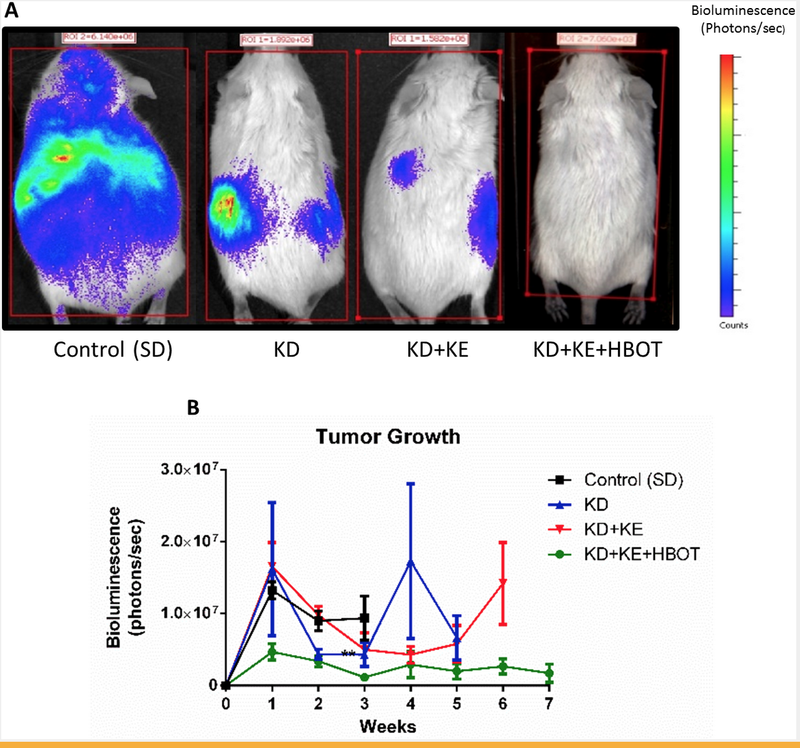 The experiment was, simply, how low-carb diet mixed with high-oxygen affects tumor growth during treatments. The results are interesting! This study, published in June 2015, was stolen by a fraud, changed, and repurposed to get you, the cancer patient, to spend money on a cure that doesn’t exist. It’s today’s snake oil salesman. Where does Frankenstein Fit In? One of the underlying themes of Frankenstein, as written by Mary Shelley, is distrust of modern science. Science is amoral, fed only by a desire to learn without understanding the consequences of the knowledge gained. Science, especially today, is a profit machine fed by the demand for their services – should that demand lessen, profit would lessen. And we can’t have that. Frankenstein was created by science and wreaked havoc on mankind. Modern cancer treatments were created by science and wreak havoc on mankind as They (whoever They are) protect the revenue it generates by squashing new innovation that threatens Them. Cancer scams play to the cancer patients sense of fear and desperation. They try to convince the patient that there is a conspiracy against them – that they should mistrust modern and established science – but they can prevail if they learn this secret. The secret They don’t want you to know is yours. For only $19.99 plus tax. If you’re a cancer patient, I know it’s hard to just let your doctors do their thing. Especially if your treatments aren’t as effective as you would like them to be. And that’s OK. You are your own best health advocate. You should be looking as far and as wide as you want, and no one should stop you or make you feel as if you shouldn’t. But realize that the further afield you get, the more skepticism you should bring to the table. There’s a reason why your doctors are prescribing the treatments they do; they tend to work, or have the highest probability of success. Be skeptical of everything. Question not only the “miracle cures” that you see online, but the diets that well-meaning friends say will help you, the meditation routines your Yogi says will help you heal. Question everything. Even your doctors. They can make mistakes, or miss a detail. Just remember, your doctors are highly trained and skilled professionals who have dedicated their lives to helping people like you fight, and beat, cancer. They are not part of this mythical “establishment” trying to keep you sick by denying you what you need to survive. Your doctors should always be able to point to research, studies, and evidence of the success of the treatments they suggest for you. They should always be able to tell you of legitimate alternatives, if you but ask, and help you with a risk analysis of every option they present. They profess a secret knowledge that only they can provide you. But they won’t tell you exactly what it is. They wax on about how wondrous, amazing, or revolutionary the secret is. The more adjectives they use, the more suspicious you should be. No cure is universal. There are hundreds of types of cancers and what works for one will not work on another. They tease you with testimonials but no science other than vague statements. Every testimonial is a “personal” testimonial and unable to be verified. They don’t have peer-reviewed studies, and may even admit it because “They” don’t want you to know about the secret. They don’t present any real science, verifiable statistics, links to hospitals, experiments, or evidence of the cure other than their assurance that it works. They click bait you to a screen that requires you to give your credit card to get the secret. My suggestion to you is if you find something that sounds promising, and you are unsure, take it to your doctors. Show them what you found and ask their opinions. Remember, your actual doctor is not a “Them.” He/She is a professional, fighting alongside you, sharing your joys and frustrations. They want you to get better, and will gladly help you evaluate the treatments, diets, and “cures” you find. Just hold on to your skepticism. Like Frankenstein, these miracle cures are monsters that will destroy your hope, drain your wallet, and leave you broken and bleeding. Be careful, my fellow cancer warriors. We thought they were stories, but ancient myths hint at the vengeful life on the dying world right next to ours. CLICK HERE TO PRE-ORDER FOR ONLY $2.99! When 24-year-old Orion Hunter picked up an unusual fare, he had no idea he had just entered a new and terrible world. A world where there was a parallel Earth, populated by high-tech creatures intent on killing all humans. His fare is Momo, a beautiful but deadly member of a secret organization that has monitored and tracked these other-earth creatures for thousands of years. Their world is dying, and they want ours. Now, Orion is on the run, his friends murdered by these creatures who are intent on finding him. Orion is the secret hope of humanity; his undiscovered and untapped powers could level the playing field and stop the invasion from the Earth next door. But can he learn to harness his powers and grow up enough to be the savior that Earth needs? Orion is a twenty-four year old college dropout. He’s a laid back young man living in Pittsburgh, Pennsylvania who spends his days driving for a peer-to-peer ride share service. Like most kids his age, he’s unsure what he wants to do when he finishes “growing up,” is a little cynical about the world he lives in, but harbors a deep and abiding optimism about the future. His biggest tragedies in life have been the deaths of his mother when he was twelve and the more recent death of his uncle Bobcat, who raised him after his mother died. Orion’s ancestors were Apache Indians, but he has no knowledge of the tribe, having moved from the reservations when he was a child – a move he both appreciates and regrets. He appreciates escaping the baggage of his ancestry, but he regrets not knowing more of where he came from. Our story begins when Orion picks up Momo as an unexpected fare. He is, at that moment, unknowingly thrown into a new universe in which there is a parallel Earth, and he is hunted by the life on that earth because he has a power that can stop the imminent invasion. Oni Mikal is the Dominant Gowr (general) of the People, one of two sentient species on the Earth parallel to ours. He is a member of the Oni clan, characterized by reddish fur, protruding tusks, squat, powerful bodies, three eyes, and one hand than ends in a three-clawed pincer. Like all of the People, he lives his life believing that the Earth is a sacred trust for him and his People to care for. One of their primary mandates is to do as little hard to the planet as possible. Human callousness towards their Earth both angers and disgusts him. When he learns that his Earth is threatened at a quantum level by human damage to their Earth, he becomes enraged and demands that he be allowed to lead an invasion to the human Earth, kill all the humans, and move the People to a new world before theirs disappears forever from reality. Given permission by the Cruchak, or leader of the People, Oni Mikal galvanizes the People and mobilizes the forces of war – even when it jeopardizes his relationship with his daughter, Oni Ooma. A seventeen-year-old spitfire, Conrad knows exactly what he wants out of life. He’s top of his class, smart, determined, and is going to college in the fall to fulfill a promise he made to his dad before he was killed in Afghanistan. Unbeknownst to Conrad, his mother, Lilly, is a member of the secret organization that monitors and deals with the infrequent incursions and attacks of the People from the Earth parallel to ours. As a result Conrad meets Orion when his mother helps him escape from Oni Mikal and the forces pursing him. Caught up in a new world of multiple Earths, inimical life, and the impending invasion of his Earth, Conrad jumps in and becomes a part of the opposing forces trying to stop the invasion. He ends up helping Orion and joining him in his cross-country flight towards safety. When humans with the ability to jump the “ripple” to the parallel Earth next door start getting killed, Momo is sent to collect a new hopeful, Orion, before he, too, is attacked. Momo is a senior member of the Baohu, the three-thousand-year-old organization that has been dealing with the occasional incursion and attacks by the life next door. A veteran Jumper, with advanced military training, Momo ranks highly in the organization, but hasn’t yet had a lot of real-life experience. Born in San Francisco from Japanese parents, Momo is small, unassuming, but nonetheless deadly. Her mission is to convince Orion to join her in safety without letting him know, yet, about the realities of the multi-dimensional war that is looming. Unfortunately, she arrives too late and Orion is unwillingly inducted into the organization when both he and Momo are attacked by Oni Mikal in Orion’s apartment. Kaua is a member of the Huahuai, the second race of sentients on the parallel Earth next door. His people are characterized by their short statures, lean faces, three eyes, coarse bristles, and the ability to move comfortably on both two and four legs. Kaua is an elderly scientist of the Huahuai who detects in Orion not only the ability to Jump, but something much more. He is sent to our Earth to train Orion in his powers so he can avoid getting killed by Oni Mikal and his forces. Kaua, and the Huahuai in general, keep many secrets and seem to be playing both sides of the conflict – both helping human Jumpers and supplying the People with tracking tools to find and eliminate Jumpers. Matt is Orion’s best friend. When Orion relocated as a child from Arizona to Pennsylvania, his first friend was Matt. They’ve been inseparable ever since. Matt is a student at the University of Pittsburgh, majoring in English Literature. He’s also a bartender at a local pub, and frequently hooks up his bed bud, Orion, with free drinks when he visits the bar. Matt is initially skeptical of Orion’s claims that he was attacked by a seemingly mythological creature from a parallel Earth, but quickly realizes the truth when he witnesses firsthand an attack on Orion by the creatures. Lexie is Matt’s girlfriend and the sister Orion never had. They share a very close relationship, with Lexie constantly trying to help Orion find a “super green” girl he can fall in love with. Lexie is what Orion terms a “hippie” girl. She is very philosophical about life, has a green thumb, and has an unnerving ability to let the bad things in life roll off of her without even blinking. She believes in the power of positive thinking and swears that the universe will provide, if you just allow it to happen and stop fighting. Beneath that sweet exterior, though, is a strong-willed woman who won’t let anyone steamroll her – least of all Orion. She immediately believes Orion when he tells her of the attacks by the Oni creatures, and becomes the one person who provides solace when he needs it most. She, too, witnesses firsthand an attack on Orion by the People. The daughter of Oni Mikal, Oni Ooma is an adolescent Person with a very strong sense of curiosity. Like all of the People, she reveres life above nearly all else. She does not approve of her sire’s plan to destroy all the humans, even though her own Earth is dying. Oni Ooma is convinced that humans can’t be as bad as her father makes them out to be. If the People approached the humans as equals instead to trying to kill them, she is sure they would share their planet and help stop the destruction of hers. Her father’s mission of genocide creates a rift between them that could jeopardize the entire war effort. 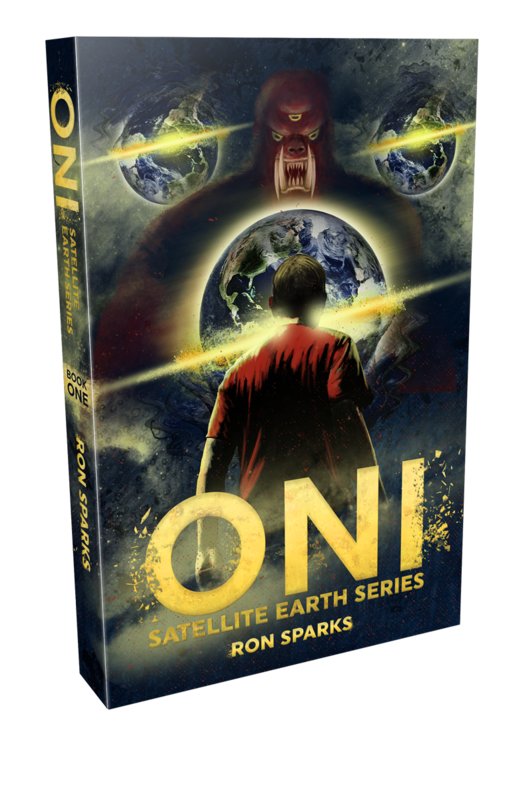 ONI: Satellite Earth Series Book 1 is available on your Kindle and as a trade paperback. Pre-order your copy today and join Orion on his adventure to save the Earth from invasion! 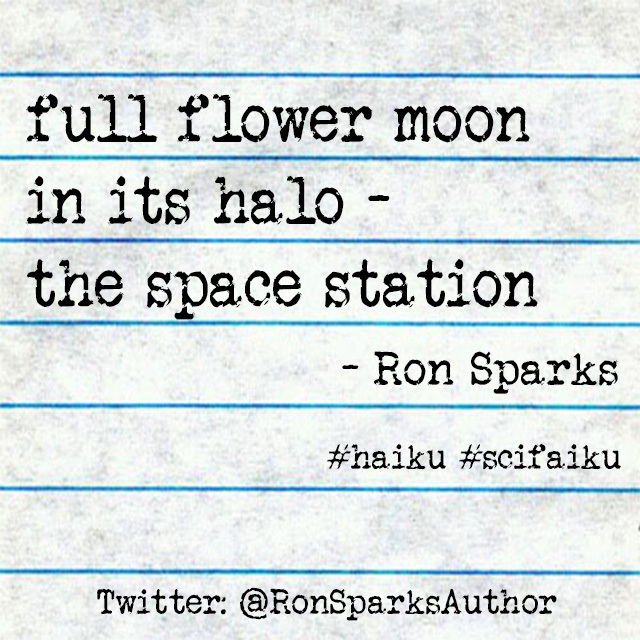 I’m slowly decomissioning this blog and moving over to my official blog at RonSparks.com. GO check me out there!